We call an audible for our Best of 2017 series and round it out with “Hawkeye: Kate Bishop: Anchor Points” by Kelly Thompson. 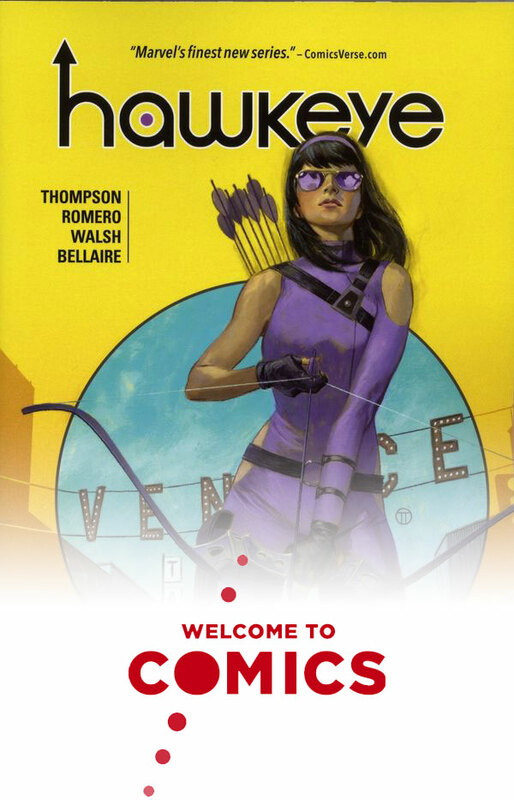 We’ve seen Kate Bishop before in Young Avengers and Matt Fraction’s Hawkeye, and now we follow her out to the West Coast as she tries to make it on her own as a PI. This comic does a fantastic job of balancing the follow-through of Kate’s character from previous titles with the ability for new readers to jump on. We talk about her relationship with Jessica Jones, the role of the focused art, and Kate’s magnetic personality. Plus, David finds out he’s been butchering his boss’ name for years.